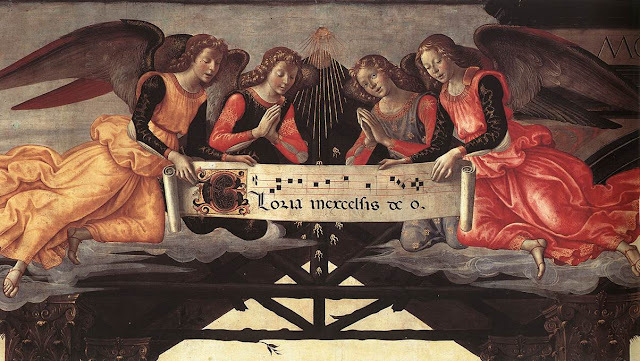 Spem in alium (Latin for "Hope in any other") is a 40-part Renaissance motet by Thomas Tallis, composed in c. 1570 for eight choirs of five voices each, considered by some critics to be the greatest piece of English early music. The motet is laid out for eight choirs of five voices (soprano, alto, tenor, baritone and bass). Beginning with a single voice from the first choir, other voices join in imitation, each in turn falling silent as the music moves around the eight choirs. All forty voices enter simultaneously for a few bars, and then the pattern of the opening is reversed with the music passing from choir eight to choir one. The original Latin text of the motet is from a response (at Matins, for the 3rd Lesson, during the V week of September), in the Sarum Rite, adapted from the Book of Judith.